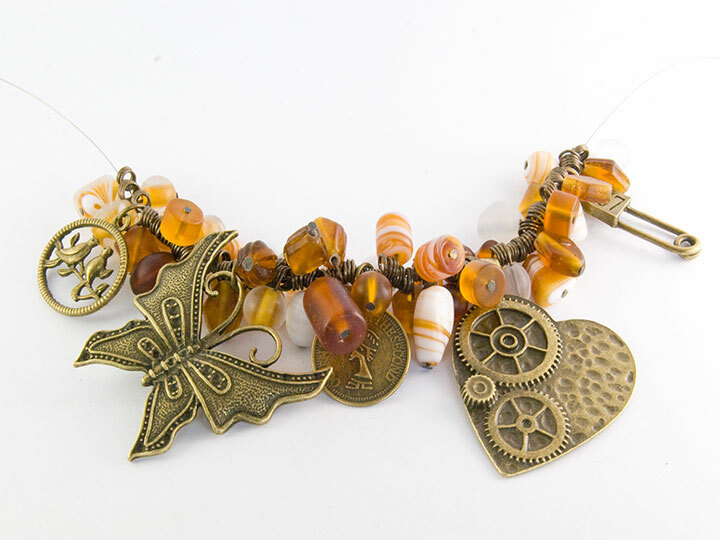 Make this stunning Steampunk necklace following our step-by-step project below. 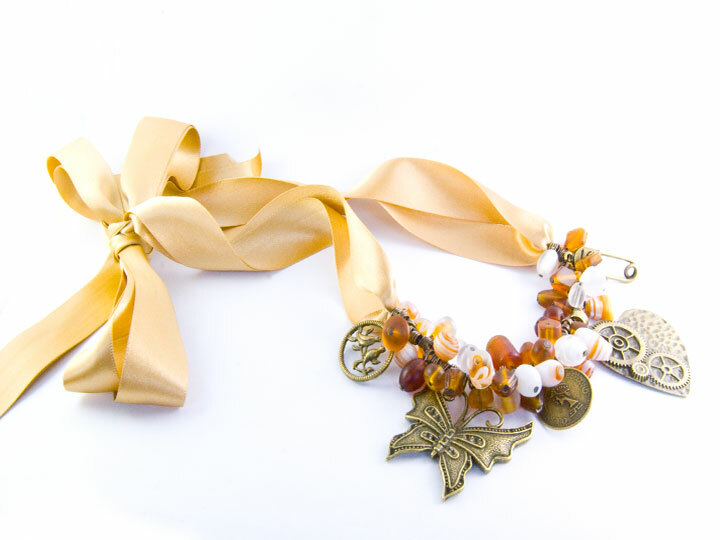 Don’t forget to share your makes with us on our facebook page. 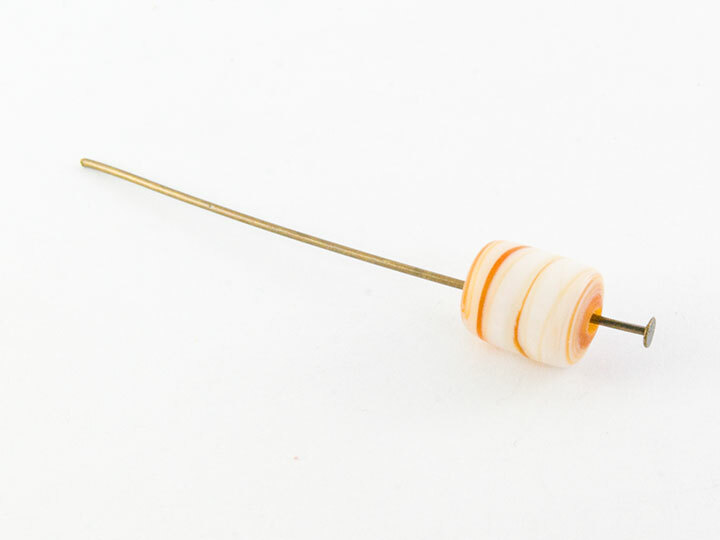 Step 1: Take one of the brass headpins and thread on one of your brown and white beads. 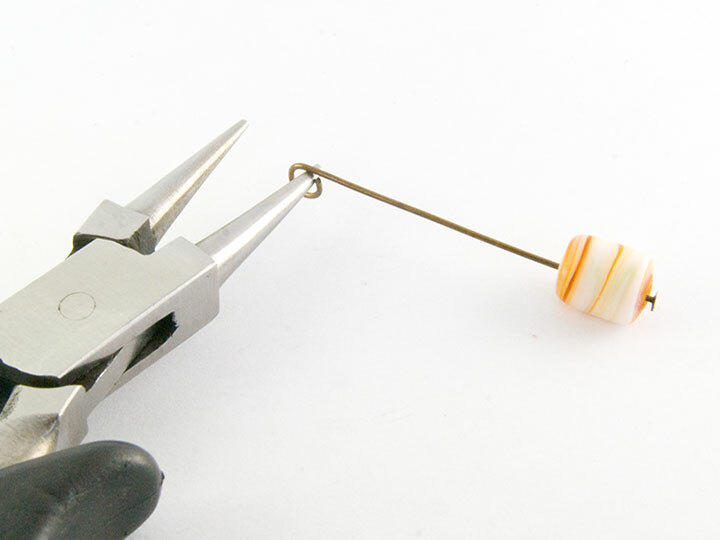 Make sure that the bead hole is small enough so that the bead will not fall off the end. 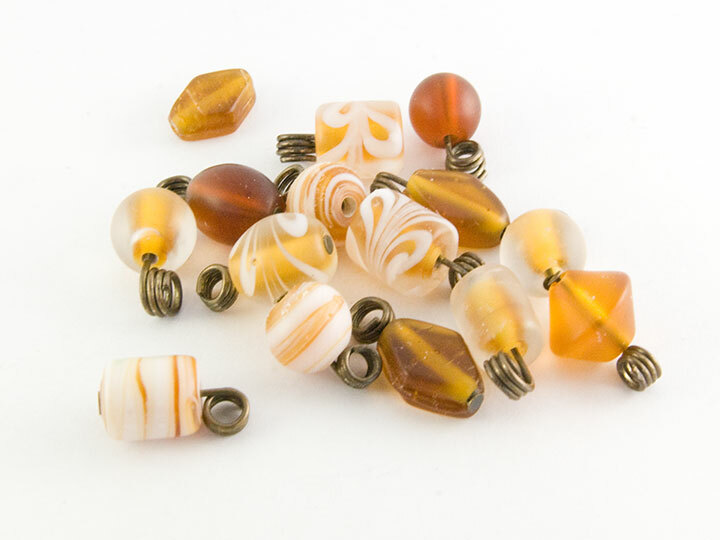 Most of the beads should be fine but some of them in the pack may have a hole too large to use in this project. 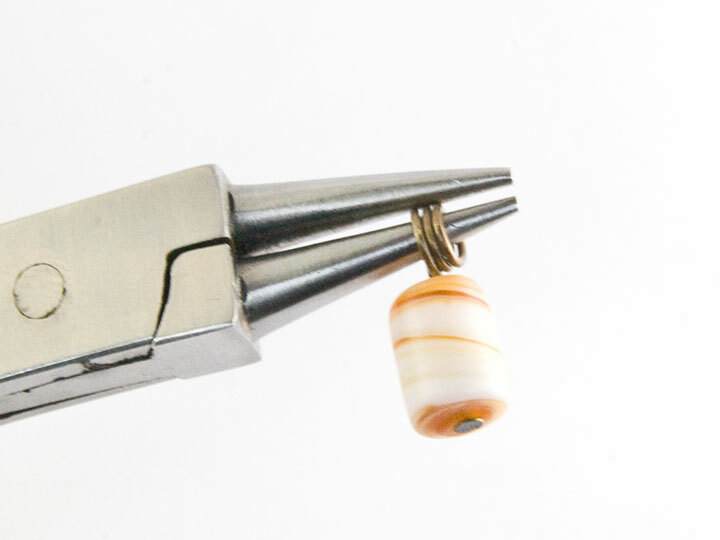 Step 2: Take your round nosed pliers and create a small loop at the end of the headpin. Step 3: Continue your loop round until you reach the bead, creating 3-4 loops in a row. Make sure that the loops are nice and neat, layered next to each other. Step 4: Repeat steps 1-3 with all 50 of your headpins so that you have 50 finished beads on a brass loop. 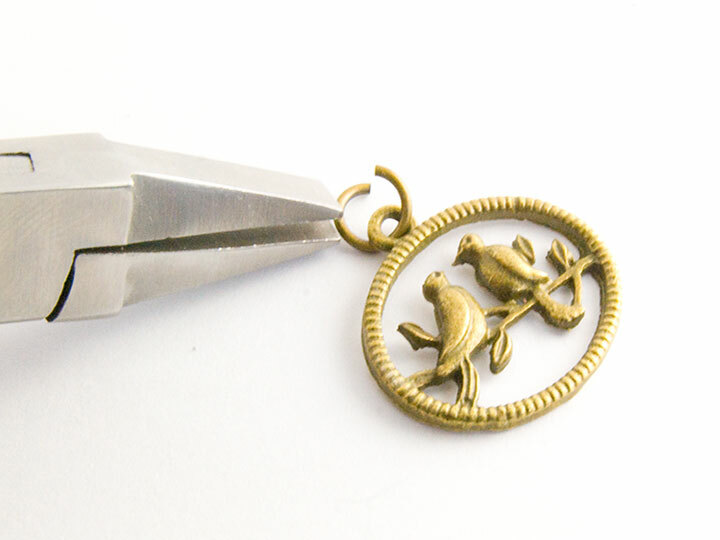 Step 5: Now take one of your brass steampunk charms and attach a brass jumpring to the end using your chain nosed pliers and flat nosed pliers to close the jumpring. 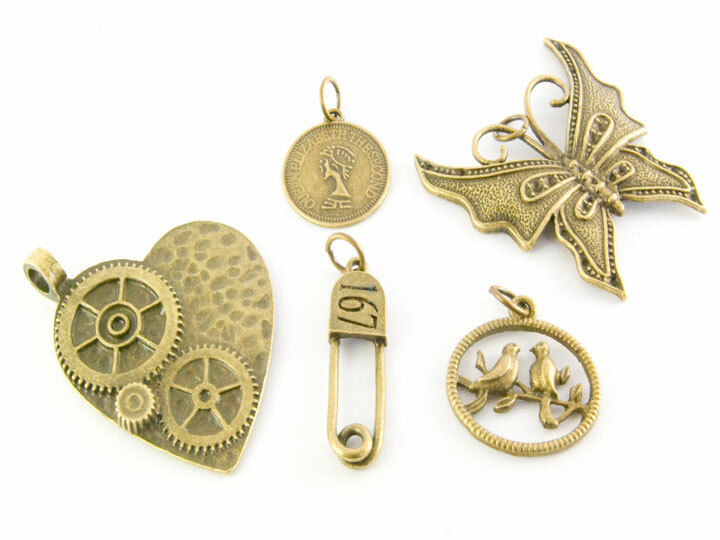 Step 6: Repeat step 6 with all of your steampunk charms so that they are ready to attach to your necklace. 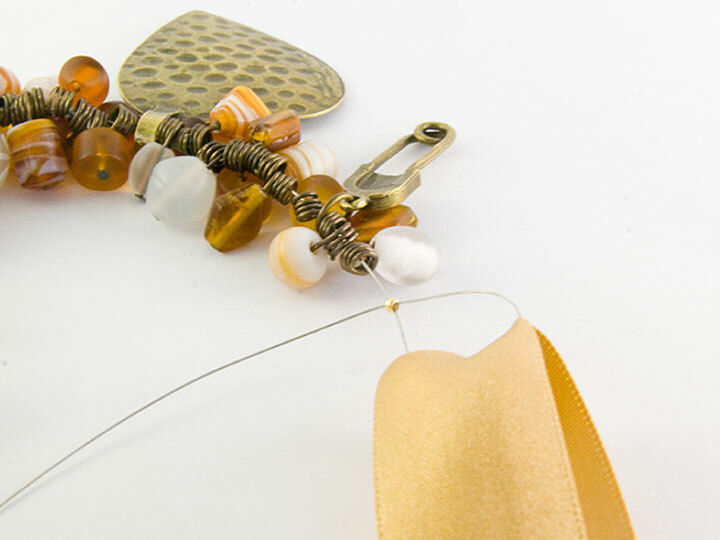 Step 7: Take approximately 50cm of tiger tail wire and begin threading some of your beads on. Step 8: Next thread your first charm on using the jumpring. 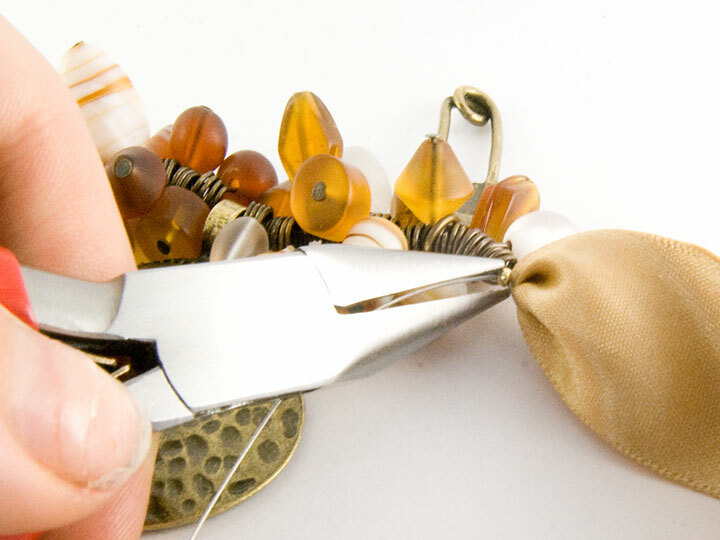 Step 9: Continue threading on your beads and charms in a design that you like. I have done a pattern of 10 beads between each charm to spread them out evenly. Also cut your one meter ribbon in half with pair of scissors so that you have two half meter ribbons. 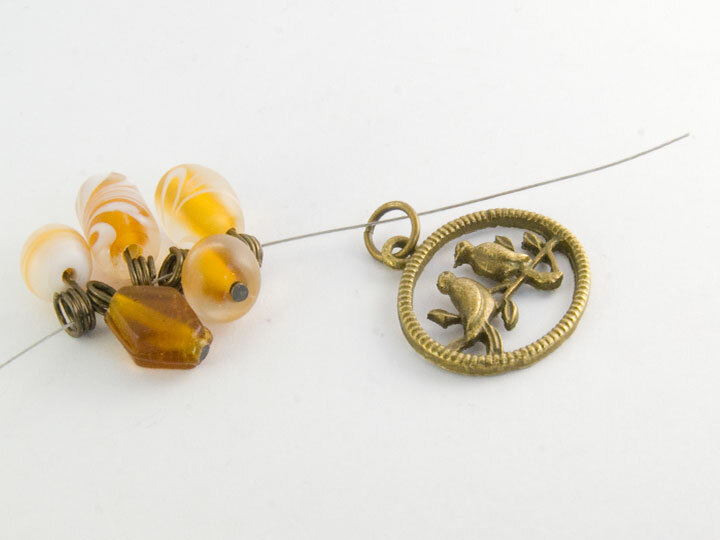 Step 10: Next, thread one of the gold plated jumprings on to one end on the tigertail and push it down to the end where the beads sit. Then take the end of the wire and thread it back through the the crimp. Place the middle of one of your ribbons in the loop that has been created by the tigertail as shown in the image. Step 11: Pull the loop tight to secure the ribbon in place and push the loop closed using your chain nosed pliers. Then cut off the excess tigertail with your side cutters or a pair of scissors. Repeat this same process with the other side of the beads and using the other 50cm of ribbon to finish your steampunk necklace. 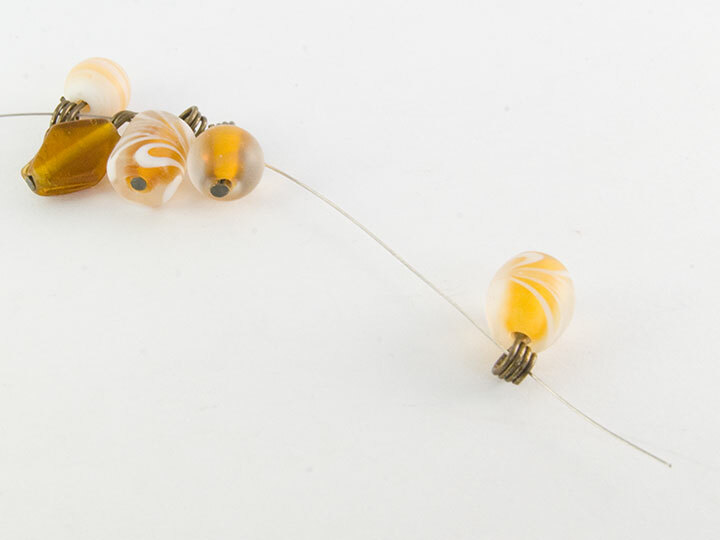 If you like this project and would like to learn more fun techniques take a look at our Bead and Wirework Jewellery Making Classes.